The VEAA members participated in these events during 2009. 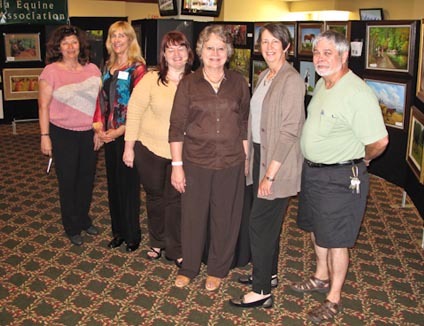 Jillian Chilson, David Everette, Wilma Bradner, Renae Major, and Eleszabeth McNeel were exhibitors at the Colonial Downs, Virginia Derby Party to benefit the Thoroughbred Retirement Foundation. VEAA had a booth at the Gaited Horse Association Show. 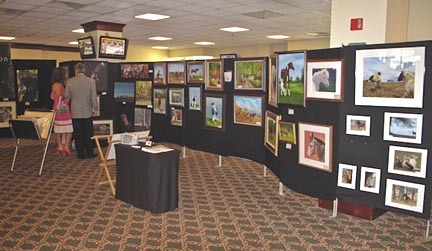 The show was held at the Virginia Horse Center in Lexington on April 17 and 18. 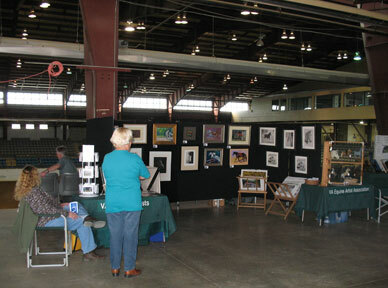 The VEAA had a booth at the Strawberry Hill Races at Colonial Downs in New Kent County on Saturday, April 11. artists. The Deep Run Hunt Club Silent Auction was held on March 21, 2009 in Manakin-Sabot, VA. Liz Callar, Diane Bird, Elaine Hurst, Willa Frayser and Debby Thomas generously gave their work to 'Help the Hounds' at the auction. The Virginia Horse Council Annual Meeting was held on March 7, 2009 at Blue Ridge Community College, in Weyers Cave, VA. Two VEAA members shared a booth representing VEAA. Both artists sold note cards and prints.